Several entries from universities and schools around the world were received for the 2018 Design Competition. The Aluminum Extruders Council and the ET Foundation would like to congratulate the winners and thank all of the students and their faculty advisors and instructors for advancing aluminum extrusion education by supporting the Competition. N-Former is an electronic informational sign for outdoor areas such as public parks and natural areas. The design incorporates aluminum extrusion in the base and height-adjustable post. 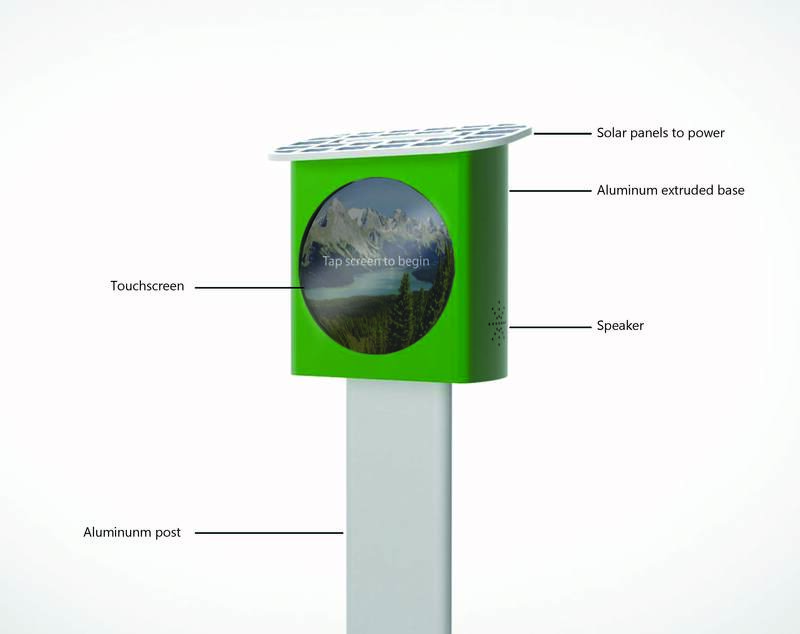 The box incorporates touchscreen technology, WiFi connectivity and solar panels to provide an interactive experience for nature enthusiasts. prosthetic is relatively small at 4-inches wide and 6-inches tall incorporating four main parts with slide-together construction allowing for easy assembly and disassembly. A cost-effective solution for making this prosthetic affordable to many people. 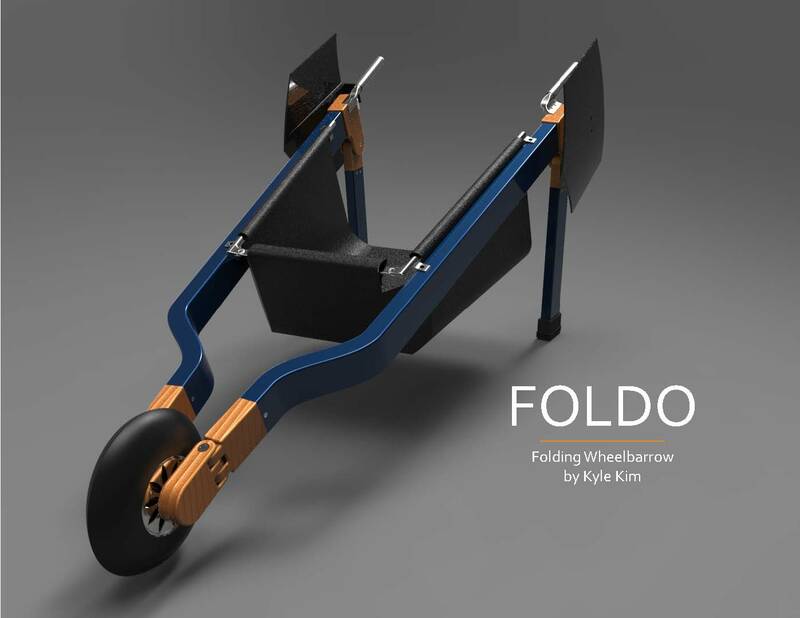 The “Foldo” is a new design concept that uses aluminum extruded parts to create a folding wheel barrow that also allows for portability and easy storage. While there are foldable wheel barrows currently on the market, they are made with a steel frame. 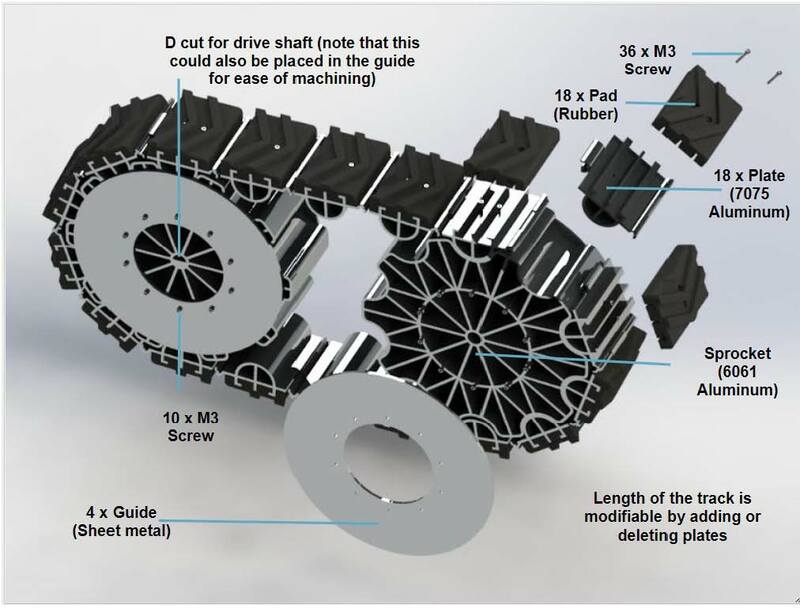 The student designed the wheel barrow from extruded aluminum with built-in folding components for space-saving storage. Aquaponics systems are a well-proven, eco-friendly method for growing plants by suspending them over an aquarium. They require no fertilizer or pesticides and create a healthy environment for both the plants and fish. Although there are systems on the market, they do not cater to the amateur user. 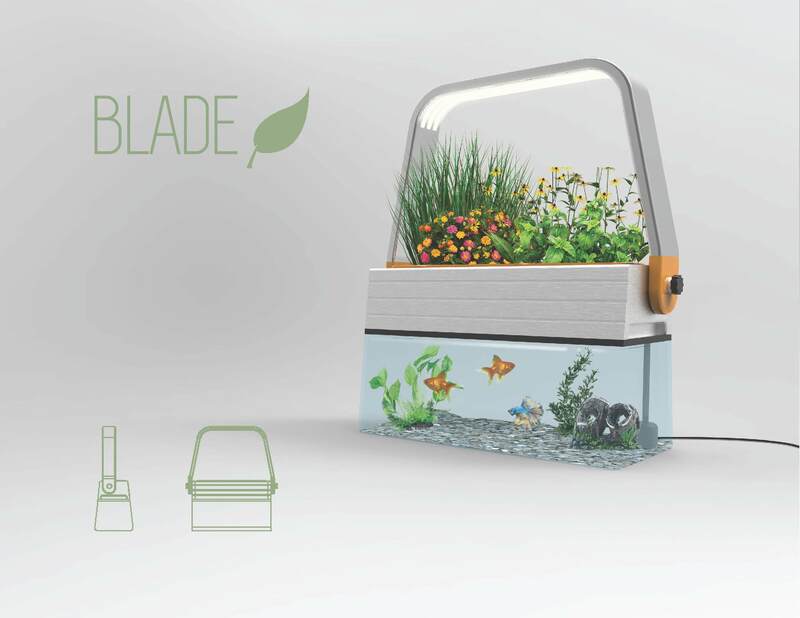 The student’s design includes an adjustable light bar for the plants, adequate circulation between the grow bed and fish tank and a handle/grip underneath the grow bed to make it easy to remove. The LED grow lights incorporated into the aluminum extrusion concentrate the light on plants. Aluminum’s highly reflective finish concentrates light where it is most needed. The Alum Shoe is an aluminum track that can be fitted with a rubber pad. The track has a wide range of applications—from automated minesweeping vehicles that clear up land in conflict zones to snowcats for mountain rescue missions. The Alum Shoe consists of only four main components and is simple to assemble. All aluminum parts of the Alum Shoe are extrudable with limited post machining. The design of the Alum Shoe can be easily modified to make industrial transport belts.